3K parafeed single ended primary. 4, 8, and 16 ohm secondaries. MOL of >8 watts @ 30hz. All teflon insulation on the inside. All silver bearing solder connections. Color coded mil spec teflon lead wires. Elevated solid brass bell ends (other choices of bell ends available). All brass hardware. Triple high gloss clear coat polyurethane finish. and the third pair is especially unique and was very difficult to build. 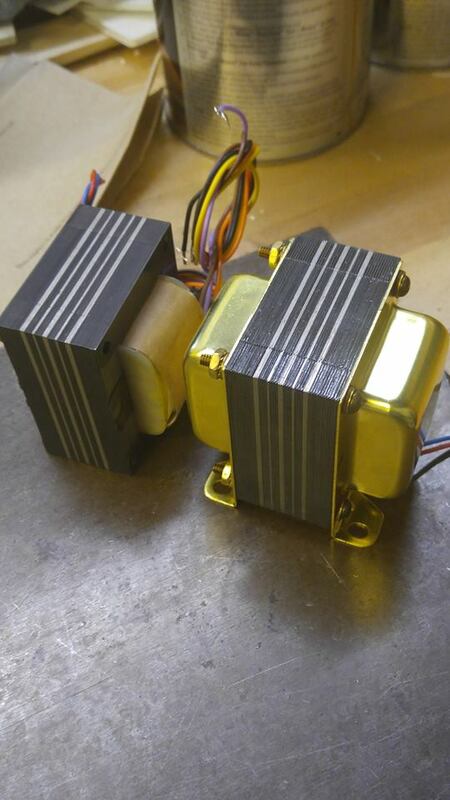 This third pair uses four different laminations-- hence quad mu--- M6, M4, M3 and nickel. The higher perm materials are stacked toward the middle and are mirror imaged in pairs. These are available for sale... and in time to slide right under your Christmas tree. Prices starting at $400 a pair. Please send inquiries to acrosound@aol.com. All of the items listed below are finished products, ready to ship. Quantities are limited to what is on hand. Shipping extra. Will endeavor to ship your goodies within two or three business days after receipt of your order and payment. PayPal (domestic) ok. International please inquire. Here is an incredible pair of wavelength audio 25w 845/300B amplifiers with insanely huge custom wound transformers by Magnequest (peerless) in excellent condition. These amps are Important not only because they were the esteemed Gordon's Rankins first SET amplifiers but also the first sold at Don Garbers now famous FI on watt st. In NYC. As far as I know Gordon only produced one pair of these as they were incredibly expensive to make. The amps originally sold for around 20k at FI in the early 90s and in my talk with Gordon he estimated they would be worth and sell for well over 30k new in 2015. These have silver kimber Kable throughout and all parts are of the absolute highest quality. Tubes are 845, Dual 5R4 rectifiers per chassis, 300B driver and 6SL7 input tube. 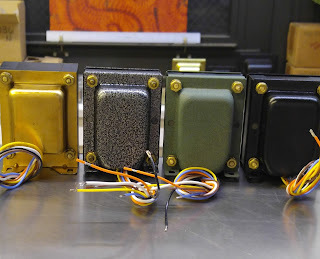 These are not only a piece of history they are probably the greatest 845 amps ever made. 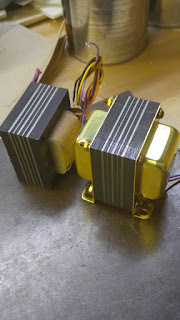 The amps weigh around 75lbs each because of the absolutely massive Magnequest transformers local pick up or deliver within 150 miles is preferred but I will also ship fully insured. I have these for sale in other places so they may be taken down at any time. 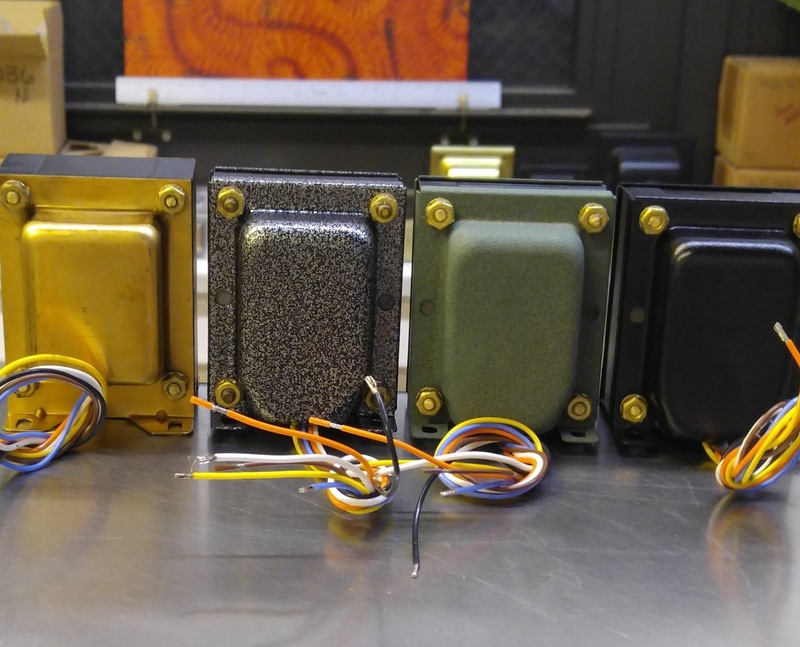 Brooklyn B-18 output transformers in four different finishes.